Savannah Jack has been the preferred opening act for the legendary Kenny Rogers, having performed onstage with him in excess of 66 times including a 21 city tour of England, Scotland, and Ireland in the Spring of 2009. The band's live show was recognized as one of the "Top Concerts of 2010" in the Greater Pittsburgh area by Beaver County Times writer, Scott Tady. Other top ten selectees included Paul McCartney, Bruce Springsteen, and Lady Gaga. Exceptional songwriters as well as versatile musicians, band members infuse their individual style to collectively create Savannah Jack's unique sound. All have a strong musical background and have been singing and playing their individual instruments from a very young age. Their musical influences range from Ronnie Milsap, The Gatlin Brothers, Kenny Rogers, Restless Heart, The Beatles, Tom Petty, and the Eagles just to name a few. 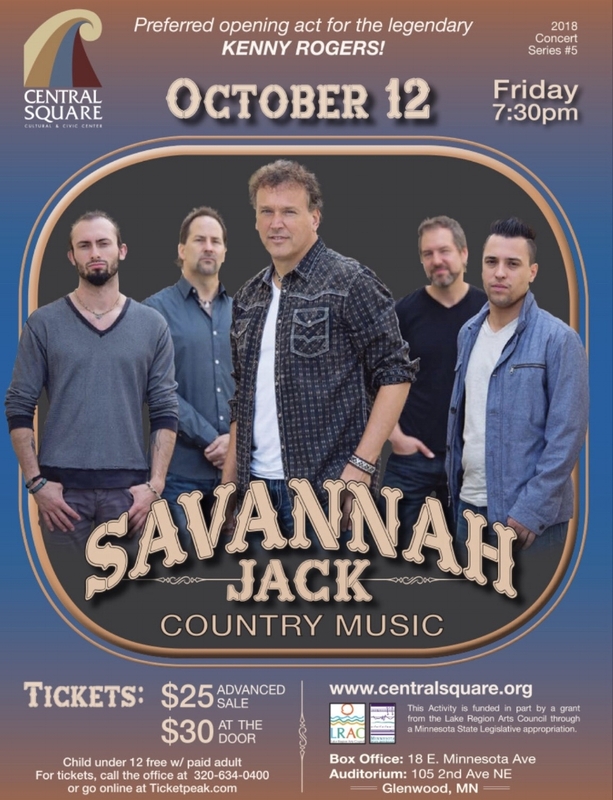 Savannah Jack is lead by the dynamic and energetic lead singer Don Gatlin with Tony Haan on lead guitar and vocals, Jay Smith on fiddle, guitar and vocals, and Kenny Ames on bass. It is obvious that the band loves making music and is having a blast! Savannah Jack brings a highly entertaining and energetic show to the stage, commanding standing ovations night after night at virtually every venue in which they perform.